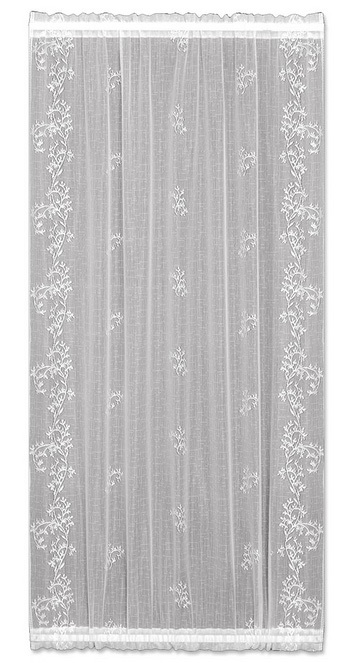 Little floral vines adorn this netted style lace curtain that's the perfect choice to add privacy to your glass door while letting the sunshine stream in. 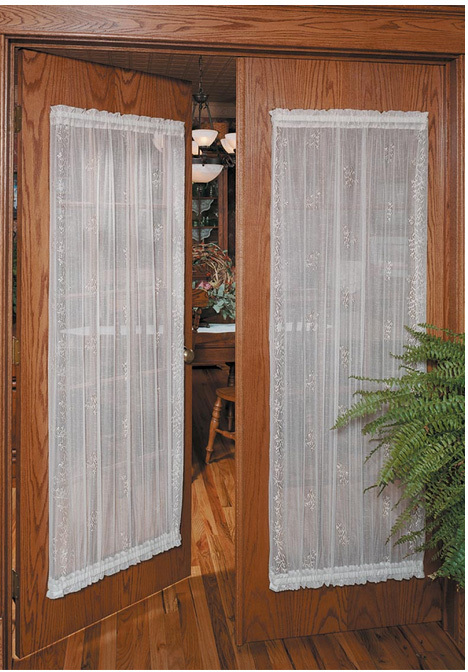 Door panels feature a rod pocket at both the top and the bottom to keep the curtain in place. 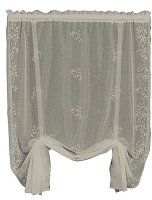 Available in 4 sizes, in ecru, flax or white. Machine wash in cold water on gentle cycle. Do not bleach. Lay flat or hang to dry. Ironing is not recommended.